On the Gaea Star Crystal Radio Hour, singer/songwriter Mariam Massaro and composer/producer Robert Sherwood collaborate with Craig Harris and special guests to produce a unique live musical experience where pure inspiration is interwoven with dynamic and unusually sensitive musical expression. The show features completely original songs created in the moment from Mariam’s inspirations, often from dreams and feelings based on current life experiences here and throughout the world as well as from the beauty of nature, blended with intergalactic channelings from her Twin Flame lover Ashento. Starting in January 2012 The Gaea Star Crystal Radio Hour has attracted over 75,000 listeners from all corners of the globe. As The Gaea Star Band enters their fourth year they’re excited with the release of their latest album “Who We Are” on Applehead/Sony Films and Records. “Who We Are” is a unique collection of tracks pulled from the last couple of years of shows that reflect an upbeat, original spirit with a global medicine rock flavor. 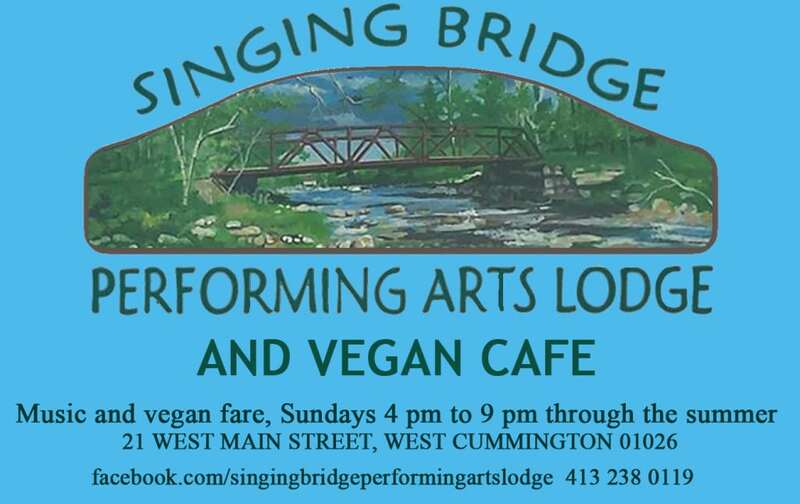 Recorded live at Singing Bridge Performing Arts Lodge in Cummington, Massachusetts on March 4 2018, we bring you the 300th episode of the Gaea Star Crystal Radio Hour featuring the Gaea Star Band with Mariam Massaro on vocals, native flute, acoustic guitar, ukulele, dulcimer and percussion, Bob Sherwood on piano and Craig Harris on congas and drums. Today’s very special broadcast begins with Mariam’s “Oh The Rain”, a somber, mystical piece driven by Mariam’s chiming acoustic guitar and a driving conga track from Craig. “Pele”, “Pachamama” and “Your Eyes Shine” are inspired takes of songs by Mariam from her “Gaea Star Goddesses” and “Smooth Sailin’ Love Songs” albums. We conclude this special anniversary hour with the epic, multi-themed “Turning Point Of Love” which features lush, floating native flute from Mariam and imaginative, expectation-dashing piano scenarios from Bob. 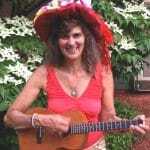 Gaea Star Crystal Radio Hour #349 is an hour of visionary improvised music and songs by Mariam Massaro and features the Gaea Star Band with Mariam on vocals, celtic harp, native flute, acoustic guitar and 8-string ukulele, Craig Harris on congas and drums and Bob Sherwood on piano. Recorded at Singing Brook Studio in Worthington, Massachusetts, today’s episode of the Gaea Star Crystal Radio Hour begins with a pretty folk song from Mariam called “I Only Want To Serve” featuring her lyrical native flute. The lush, minor ballad “Water Rising” follows, and then the hypnotic, minimalist “The Emerald Carpet”. “Take Me” is a light Hawaiian folk song with a ragtime bent, and “Oh Holy Ground” is a jazzy, mesmerizing soul improv with adventurous piano from Bob. We close with another folk ballad from Mariam, the clear-eyed “Listen To Your Heart Song”. BIO: Mariam Massaro is a dynamic visionary singer/songwriter and ceremonial medicine healer, who passionately expresses messages of love and inspiration, through her unique evocative, rock style music and flamboyant theatrical performances. Her powerful songs encourage humanity to nurture Mother Earth (Gaea Star), to be happy and to discover your own power and radiant light within. Mariam channels spiritual messages and songs from her twin flame, Ashento, an ascended master and is currently co-writing The Teachings of Ashento with him. The following is a message from Ashento. “As a messenger of spirit, be the hands, the voice, the touch, the example of love to shine, to reflect the deep abiding love that flows eternally from one’s spirit into life, to heal and spread love even more. To enlarge the capacity for revealing love at all times is to walk the path of the peaceful messenger.” She wrote and is currently filming the Gaea Star Crystal screenplay with Ashento’s celestial guidance. Her first CD, released in 2009, “Gaea Star Crystal -Awakening The Tribes Of Light ” is a uplifting collection of songs for the movie soundtrack. Her second CD, “Gaea Star Goddesses”, recorded in her own studio, was released on 11/11/11. It is a beautiful celebration of the Divine Feminine with her original songs about the magnificent Goddesses of Gaea Star that have touched her life in all her worldly travels. Mariam has spent the last year creating and directing the colorful, live musical Gaea Star Goddess show that brings these songs to life while evoking the beauty and wisdom of the Goddess. She is the lead vocalist and bandleader of the GaeaStar Goddess band. She invites audiences of all ages, male or female, to embody their own God or Goddess within by dressing up and participating in the songs. Her radiant elaborate crowns and flamboyant creative costumes add the sparkle of expressive expanding consciousness, sensuality and artistic beauty. Mariam released her third CD, “Smooth Sailin’ Love Songs” in October, including songs co-created with Ashento, Dameron Midgett, and Robert Sherwood. She plays many different instruments and sings all her own harmonies. The music is an upbeat, intense weaving of rock, tribal rhythms and inspirations from nature. Mariam also co-hosts a weekly live radio show with her original music with Robert Sherwood and Dameron Midgett, using a diverse selection of instruments including harp, tamboura, piano, guitar, banjo, fiddle, dulcimer and the sounds of nature from her own back yard. The show is ”The Gaea Star Crystal Hour” on Dreamvisions 7 Radio Network, a syndicated Internet Radio Station. 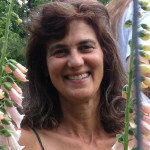 Mariam Massaro is a visionary creatress and owner of WiseWays Herbals, an internationally distributed company of natural products for well-being made at Singing Brook Farms in Worthington, MA. She founded the Singing Bridge Performing Arts Lodge in Cummington where art and music is created in a fabulous river front sting. 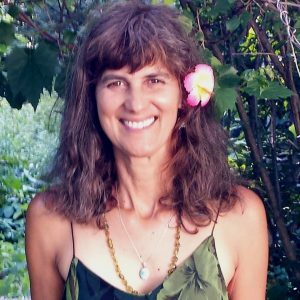 Years into her career as an organic herbal farmer, Mariam started The Sacred Earth Medicine Healing Center using Native American tradition ceremonies with native healers from the North and South Americas. Her studies in native traditions have led Mariam around the world and down new paths of creative and healing musical expression. As her passion for singing grew, she developed a unique style of music weaving ancient tribal chanting with a contemporary sound.